I’m happy to announce a new website davidgissen.org that will be the primary site for my work. This will take some of the pressure off htcexperiments to be a blog, portfolio, news site, etc. Lately, this blog has shifted from what I intended it to be: a showcase for boundary-pushing historical work by others, and a place to publish writing outside the possibilities of contemporary publishing venues. davidgissen.org runs on the Cargo Collective platform. Cargo’s platform uses visual forms of navigation and it blurs the distinctions between writing and more visual projects – perfect for my interests. It also enables me to show images from past books or essays that either did not make it into those writing projects or that were published in black and white. All of a sudden, an article in an academic journal takes on a visual quality that would be impossible in journal formats. I’ll be updating the images on the new site throughout the next month, and I’ll be removing images of my own work from the side columns on this site, and replacing those with links to interesting work. Matthew Gandy’s new book – Urban Constellations – includes a section on emerging terms in urban studies (“Urban Lexicons”), including this short essay on subnature. Melany Park and I talk about the subnatural – just published in SA, an intriguing, international architecture magazine from Singapore. *I could have titled this essay: “some of my closest friends are vitalistic animists, but the work still makes me cranky”. This year I am co-teaching the survey course in the history of architecture. In a previous gig (long ago), I taught a survey of the intellectual history (otherwise known as “theory”) of architecture from the Old Testament through to late-modern architectural writing. I still find it easier to talk about ideas versus things, but the survey is a great, worthy challenge and I’m in very good hands with my generous and very smart co-instructor and our dedicated assistant. Last week it was my turn on the stage, and the subject was Mayan architecture. If you’re trained in the intellectual history of architecture the Mayan are a challenge. Not only has the writing system been translated very recently, but very little of that writing touches on the network of ideas that form their spatial outlook. More to the point, reviewing various scripts for teaching and discussing the Maya, I’ve noticed a pronounced focus on what they ate. This focus on agriculture and diet also figures into discussions of virtually all Meso-American and other indigenous American architectural practices. Standing on the stage, in the very beginnings of a lecture that touched on maize and chocolate, I had a moment, a simple thought, and a medium-watt lightbulb went off over my head: do we analyze the diets of the builders of carolingian or renaissance space? Do we ask what Alberti and his circle ate and drank? Within five seconds the history of architecture flashed before my eyes, and I realized that the subject of diet almost only figures in discussions of pre-historic western Europe or any architecture produced by a civilization composed of people of color. I stopped myself. Diet of course is a b-line to tying civilizations down with NATURE and the processes of naturalization. And when we discuss diet, we tend to imply that there is a naturalized link between food and the fabrication of culture. Yes, maize and chocolate appear in Mayan imagery, in their art and architecture. But grapes and wine barrels figure in the art-work of many contemporaneous European movements, and I can’t recall anyone who shows imagery of medieval viticulture when analyzing Carolingian space; or claims that the cultivation of the vine led to the Palace complex at Aachen. At that moment, I called for a moratorium on discussions of diet in our class until we can sort this out. And in subsequent lectures the issue has come up again and again, if only to make us better think about this enterprise of the history of architecture. I’m not saying diet cannot appear in the survey course, I’m only stating that the subject is unevenly distributed in our analysis of architectural history. You can nerd-out on the recording (above) of the presentations at the recent event on the future of architectural history and theory at the Graduate School of Design, Harvard University. A terrific event, and it's amazing how quickly these things get posted. 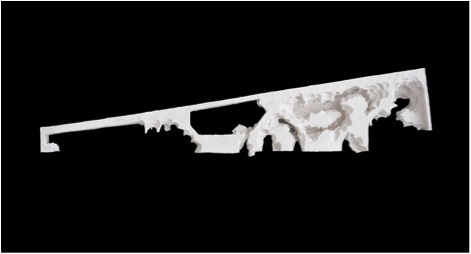 The Canadian Centre for Architecture (CCA), Montréal presents Imperfect Health: the Medicalization of Architecture, on view in the main galleries from October 25, 2011 until April 1, 2012. Through a wide range of materials including photographs, publications, art and design projects alongside architectural models and drawings,Imperfect Health uncovers some of the uncertainties and contradictions in the idea of health and considers how architecture acknowledges, incorporates, and even affects contemporary health issues. The exhibition questions common understandings of “positive” and “negative” outcomes within the flux of research on and cultural conceptions of health. At a time when health is a primary concern influencing social and political discourse across the globe, it also finds increasing resonance in an architectural debate that is becoming medicalized. However, much contemporary architecture, urban planning, and landscape design seem to uncritically address these issues, and may even look to health for a new mandate to be ambitious in familiar ways. This short-cut to restored relevancy has many side-effects, and it needs to be reconsidered. Problems in everyday life are increasingly treated as medical issues and defined in medical terms. Within architecture, on the one hand, this medicalization largely takes two forms: on one hand, spaces themselves are being described with language such as “sick” or “healthy”; on the other hand, architecture increasingly incorporates solutions from the medical field to address issues of health. 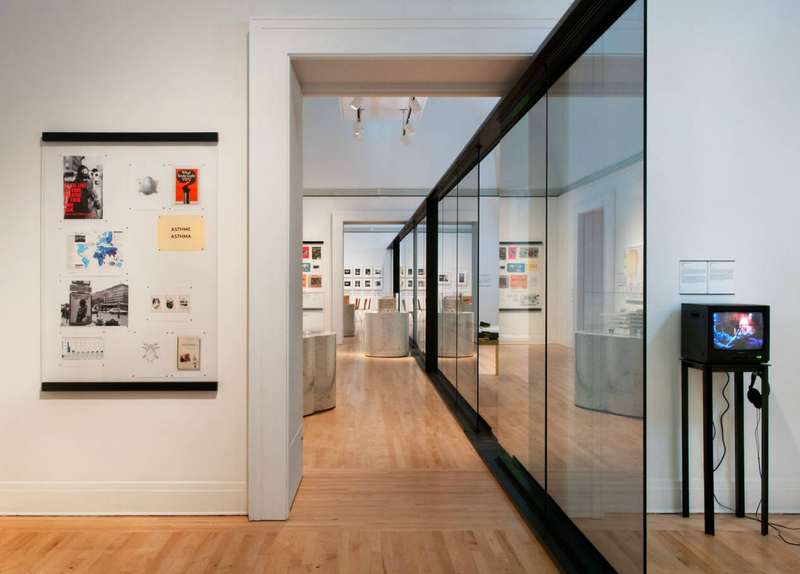 The exhibition includes projects and ideas with a range of programs—mostly non-medical—that nonetheless engage issues of health in ways that suggest new strategies and constitute an argument for the urgent demedicalization of architecture. Modernist projects often saw a deterministic relationship between the environment and health; they tried to be curative, and their history of unexpected consequences is a one of the sources for the nuanced and more complex notions of health in some contemporary projects. Rather than aiming to eradicate or avoid negative factors, certain projects now actively incorporate such issues as dust, garbage, and disease management. Thematic research has uncovered examples of projects related to health issues like allergies, asthma, cancer, obesity, epidemics, and aging. These are attractive targets in an age of anxiety for an abstract conception of health that transfers concepts between professional discourses fraught with their own contemporary ambiguities, and appears to restore architecture to a place of importance. But these projects ultimately face the resistance of an imperfect world. New strategies are required and some are already being attempted. Could demedicalization restore architecture to a more appropriate relation with its social surroundings? Imperfect Health: the Medicalization of Architecture is curated by Mirko Zardini, CCA Executive Director and Chief Curator, and Giovanna Borasi, CCA Curator for Contemporary Architecture. 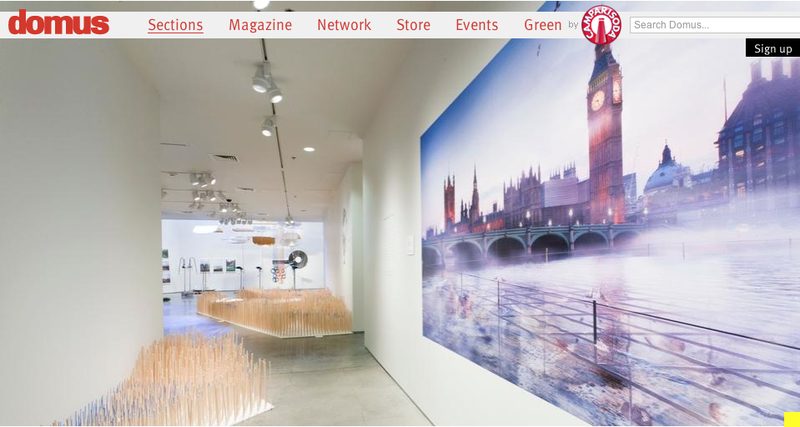 The continuous flow of long glass walls through the exhibition explores specific projects and research by an international group of artists, designers, and architects in relation to broader health issues including allergy and asthma, obesity and movement, cancer including its causes and treatment, disease and epidemics, and aging. Providing context and evidence of our preoccupation with these issues are studies, publications, television monitors, and photographs. Works from the CCA’s extensive collection alongside loans from other individuals and institutions collections include images by photographers Robert Adams, Bernd and Hilla Becher, Robert Burley, Lynn Cohen, Geoffrey James, Alfred Stieglitz, Ezra Stoller, among many others. Alongside the exhibition, the CCA will host a number of special events and lectures aiming at framing a discourse on the spatial and physical implications related to health issues. Last night I thought I would attend Occupy Oakland’s general assembly, being held every night at 7pm at Frank Ogawa Square. I’ve had numerous debates with friends and family about the protests, their effectiveness, aims, their white, homogenous, demographic make-up, among numerous other things. Certainly, the aims of the movement were opaque to me, but I believe in the affect of protest. A person might not know what he or she wants out of a protest, but they know something’s wrong, and by simply gathering together with others who are also agitated, collected, and simmering, they potentially clarify their own position in tandem with others. Going to Occupy proved the theory. Once you get through the sprawling tent city – yes, of mostly white, middle-class kids – you enter into a collective area that reflects the diverse make-up of Oakland. The entire movement is much more diverse than I’ve been led to believe. Last evening the General Assembly introduced a number of speakers that addressed problems of race in and through the more general economic protest. Speakers also addressed the violent police dispersal of the square. That was my own, personal, and second motivation for coming to Occupy. The dispersal was meant to intimidate future gatherings in the square – by not attending the protest, we simply reinforce the municipality’s acts of intimidation. How could we stand for that? How could we not go down there to simply say with our own fragile physiques, that people belong in this space? Again, the affect of protest produces a more complex gathering of people. One theme dominated the evening’s speeches (and this is why I’m posting this on a blog about architecture and history): Housing. Virtually every speaker demanded a right to housing – the economic crisis comes full-circle. Most speakers argued that housing provided a pathway to economic security, public safety, and a way out of the police/prison system that seems to gobble up the lives of working people of color in US cities. Several speakers depicted a contrast between being properly housed in their city versus a life of daily police intimidation or imprisonment – stuck in a jail outside of the city they call home. Speaker after speaker: Housing, housing, housing; autonomy from the policing of everyday life. A clear, easily intelligible demand: “house us,” and then stay out of the way: we can take care of our everyday lives. As a professor in an architecture school I find that we often talk about housing as a problem to be solved, without discussing housing as a conduit that connects architecture to basic human rights. Housing is an urban problem in architecture schools, without a larger consideration of the problem of the city – again as a right. My impression after this evening is that our obligation in a design course on housing is to express a more basic foundation for housing. The presence of housing as a site of rights has not necessarily had its expressive due. I couldn’t help but think of Aldo Rossi’s Gallaratese during the speeches. That great monument to opening up a line – a setting for life – in the city, but one that also acknowledges the sadness of living in a world in which states have to “supply” housing for its poorer classes. Within the Gallaratese Rossi built an architectural language for getting out of the way – a location for life versus the manipulation of peoples’ lives into a more overt symbol. The discussion of housing at the Occupy protests also included a discussion of environment in the city: Today many architecture schools, architects and writers explore what we might term “extreme” environments. These activities address things like climate change, changing shorelines of cities, sea-level rise, and toxicity, among other things. Not my own area of specialization, but interesting stuff. I think of the activities of firms such as the Living or the Infranet Lab as being good examples of this type of work. But listening to these protests, you quickly realize that everyday life in the US has become an extreme environment. And this more everyday, extreme environment cannot be expressed in the languages that architects use to typically depict “environment” – fluid dynamics and network theories. It can’t be expressed in the language of science or architecture. But architecture can open up a space of environmental calm and, like Galleretese, express a bit of the melancholy in having to do this. I hope you have the chance to attend one of these events; at the very least it will make you think. And after you leave, you feel this tremendous urge to go back, hatch plans, do work, and think some more. Geoff Manaugh’s exhibition has received excellent coverage, including this recent review in Domus. Now the exhibition is being transformed into a book with Actar, and I’m thrilled that one of my contributions to the exhibition – the Florence image from Museums of the City – is front-and-center. In addition to this book project, I also spoke about Museums of the City at a recent event on current architectural scholarship at Harvard. That event was co-organized by Timothy Hyde, Associate Professor at Harvard’s GSD and William Saunders, the editor of the Harvard Design Magazine. I’ve added three essays to the side-bar at right. In all three I’m trying to shift contemporary discussions of landscape away from statistical (data-driven) ideas and more towards historical ones. 2. 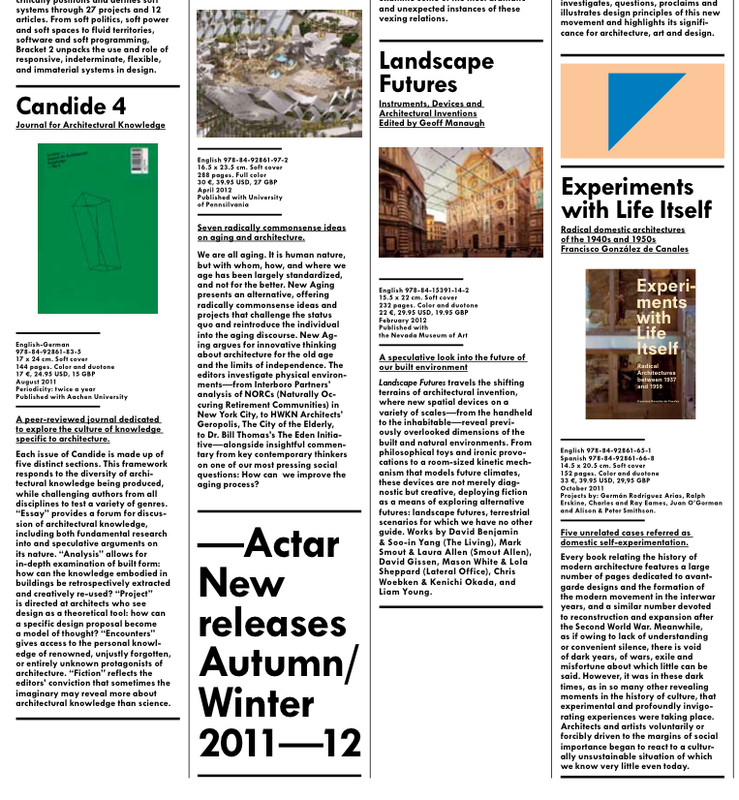 Another afterword for the latest issue of Spanish Architecture Journal, Quaderns — on the topic of infrastructure. 3. And the “middleword” (is that a term?) 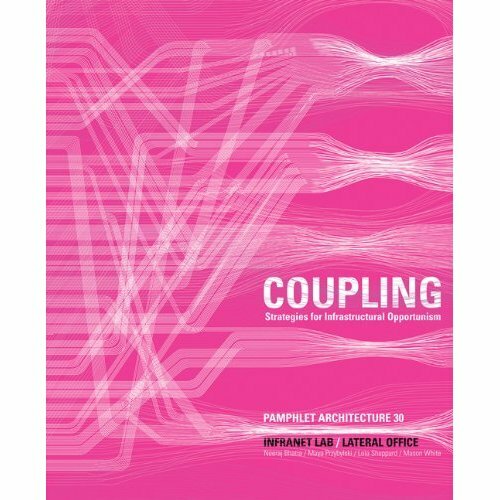 for Pamphlet Architecture 30, “Coupling” written and developed by Lateral Office. 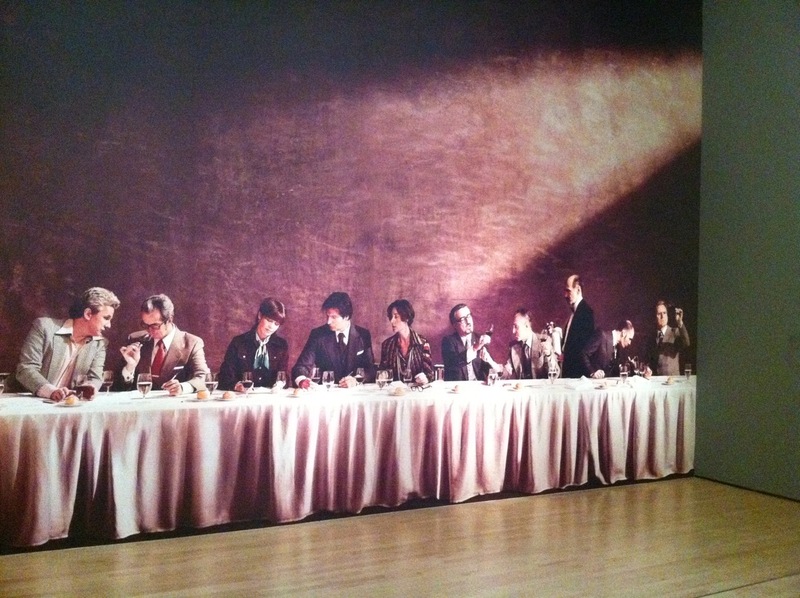 As an enthusiast and collector of wine, it was a great pleasure to finally see the SFMOMA exhibition “How Wine Became Modern: Design + Wine 1976 to Now”, conceived by curator, historian, and critic, Henry Urbach and with the exhibition design and curatorial collaboration of Diller/Scofidio, and Renfro. I can’t remember the last time I’ve seen so many people spending so much time in a design and art exhibition, and that speaks to the seriousness of this exhibition. Before moving on to more heady material, let me just say that you should run to see this show; it’s only open a little longer and is one of the most provocative design exhibitions I’ve seen in a very long time. “How Wine Became Modern” explores, in a series of large rooms, the design of modern wine as a historical, geographical, genealogical, spatial, and linguistic form. “Design” in the context of the exhibition does not necessarily describe the objects in the exhibition, as there are many works of art, but the mentality that rebuilds the ancient practice of making and drinking wine into a more modern activity. The show begins with a very bold statement about the modernity of wine itself, via a room of art and objects exploring the history of the Paris Tasting of 1976. During the tasting, a panel of wine critics awarded two California wines (A Napa Chardonnay and Cabernet Sauvignon) over and above their French varietal equals (Chablis, Merseualt, and Bordeaux). The Paris Tasting supported some features of wine-making that were already in process: the ability of non-European wine makers to develop a robust economy around their wines; the questioning of wine’s excellence being determined by geography; wine critics’ new power in determining the significance of specific wines; and wine becoming a media sensation. It still is, as the movie Sideways and Bottle Shock made clear. For Urbach, the Paris Tasting, and its time, marks the moment when wine achieves its modernity. The event and its historical moment are inter-related. So begins our journey into this transformation of wine, but the concept of what makes something or someone modern is a topic of endless fascination for all types of thinkers. And it’s not an easy topic to pin down. In recent years, historians have described modernity as a system of individuation (the emergence of the self and the sense of alienation), rationalization (the extension of science into everyday life), urbanization (the growth of cities), and industrialization (serialization and the proletarianization of populations). Ultimately, Modernity is a form of rupture with the self, past, land, and labor. An automobile is modern because it is a serial, mass-produced consumer object, made by laborers whose identity will never be known. If we think of wine becoming modern, we might argue that this begins in the early 1930s with the French codification of wine into the appellation system (“a.o.c”). This is a modern response to the threats of industrial wine-making. Maybe it was 100 years earlier with Napoleon, who ended traditional relations between estates and vineyards. There are endless ways to skin this modern grape. I would argue that the SFMOMA exhibition is really about how wine became “late-modern” or even post-modern (but that makes a lousy title!). The exhibition at times, touches on modern subjects like rationalization, labor, and industrialization, but it mostly emphasizes the globalization and, in particular, the mediation of wine. The Paris Tasting is the perfect support for this vision of modernity. As wine became globalized and mediated, it became free from geographical specificity (ie. French, Italian and Spanish winemaking) and the cultures that move through these places and activities. As wine becomes late-modern it becomes a free floating signifier; it can be made to mean anything and everything – way beyond geographical concepts. And it is in this relativist context that wine is “designed” to mean things both traditional and new. This particular aspect of the power of modern society and thought is well illustrated in displays on the immense variety and clever design of wine glasses, carafes, wine labeling, and the additives that are placed into wine. Through these designs, wine emerges as something embodied with luxuriousness, danger, family virtues, and aristocratic vices. Discussions in the exhibition of language and criticism also engage with the underlying subtext of the show. Qualities that are repulsive in one context become desirable in wine through the power of criticism and critics. Wine is completely overwhelmed by semiology and language; it is not possible to have “wine” without words. The photographs of Mitch Epstein, which are located throughout the galleries, examine the juxtapositions and imagery of global wine culture in a more spatial context. In one, a young blond women emerges from a large SUV in front of a California winery whose architecture evokes Persepolis. In another, nearby winery, the landscape is rendered more like an English Castle, and yet is filled with Tuscan verdure. Among such intense commentary on wine’s spatial imagery, the experiential, affectual architecture of Frank Gehry and Herzog and DeMeuron appears mute, perhaps intentionally so. 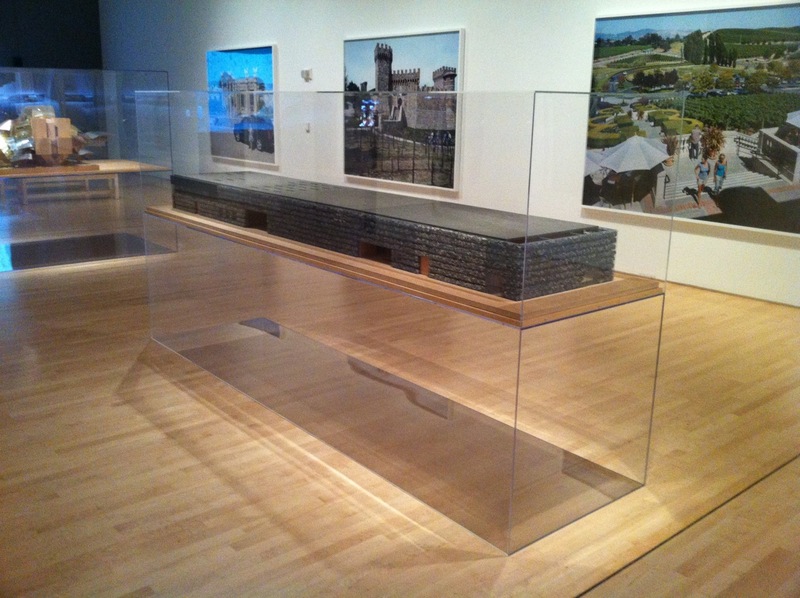 But the models, nonetheless remind us of the monumentalization of wine through architecture. 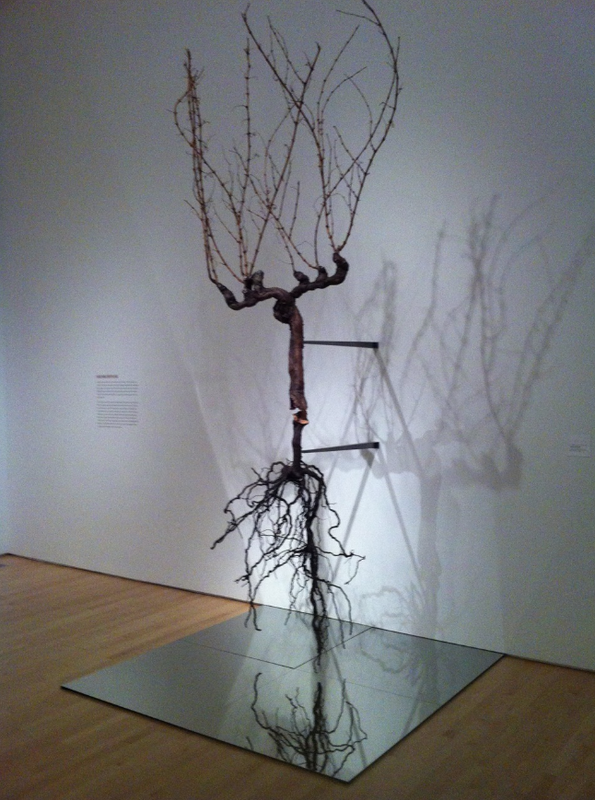 Ultimately it was the display of a grafted American and French rootstock/grapevine, which looms over one gallery, that’s a signifier for all of the above, and it articulates the sense of wine being a hybrid thing, unmoored from its traditional foundations. Many vineyards in both the old-world and new have grafted vines like this. The American “root stock” which sits in the soil is disease resistant; the French grafted top, which holds the grapes reflects hundreds of years of fruit development. If this is what every vine is, then wine has become a kind of Frankenstein in its contemporary context. But lest you shed a tear for wine’s lost history (its former wholeness and purity) there’s no sentimentality in this exhibition. For the curator and designers, I get the sense that we’re on board the modern train, and full steam ahead. All of the above things and images expanded on the exhibition’s curatorial framework, but I sensed some tension in the room on “terroir”. One might argue the show is haunted by this idea and the “return to terroir” among the most avant-garde of contemporary wine-makers. Terroir is a quality that wine has when grape varietals are grown to tie them to a particular geographical site. We experience terroir by tasting something in a wine (generally the soils’ content) that can only be tasted by a particular grape being grown in a particular location. 99% of the wines we Americans tend to drink lack this feature. 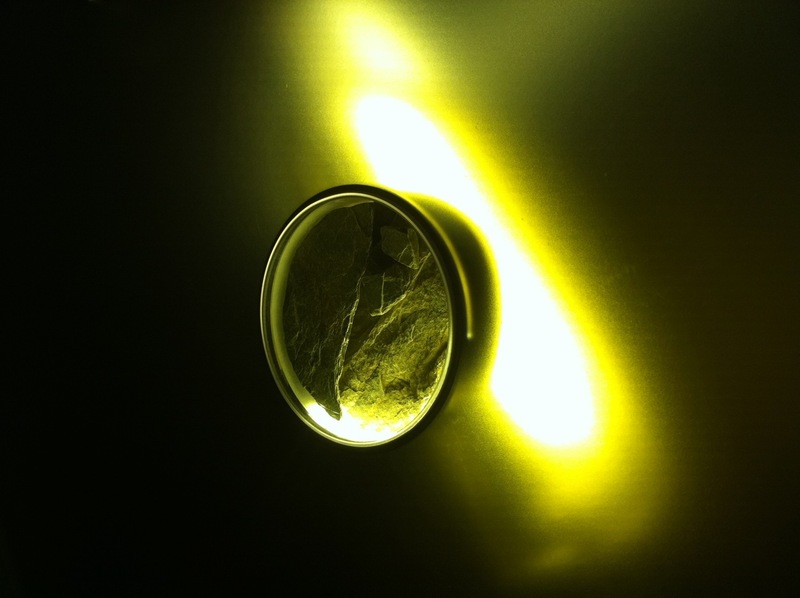 For terroir to be true to itself it cannot be a part of the larger discursive process that the exhibition examines. Thus, the efforts of Diller/Scofidio & Renfro to illustrate terroir with numerical data (of temperature, altitude, climate) speaks more to the designers’ efforts to link terroir to modernity than the actual underlying practices that surround terroir-driven wineries. I almost wish this room came at the end, as a form of commentary on how wine makers are struggling with wine in its current late- and post-modern moment. We can’t go back to a pre-modern society; we can’t go back to the earth itself, and yet there is a pronounced turn to ground wine in specific sites. But this is simply another symptom of looking for connections where no natural or communal ones are present. But because we’re modern, any fixity in the world has to be designed too; just like the things and images in this exhibition. 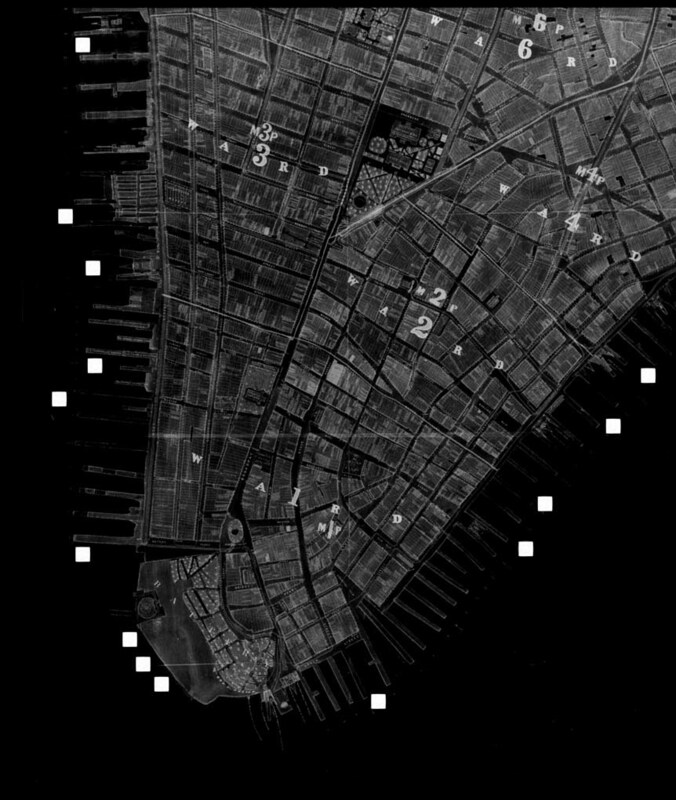 I’m impressed with two projects (one being built) in New York City that suggest less techno-scientific interpretations of material, visualization, and assemblage. The authors of these projects are new to me, but I think they relate to many of the attitudes I hoped to capture, historicize, and theorize in the Subnature book. We are intellectually connected; and that makes me quite happy. Here we see a collective, labor-oriented theory of architectural construction outside the tectonics theorized by Frampton. One might argue that a firm as vanguard as Aranda/Lasch still clings to a 19th notion of tectonics in their digitally infused assemblages. But, “dig” is something all together different; and shows us a potential way out of dominant theories of construction, generally either neo-grec or phenomenological in mode. The second project is the PS1 finalist entry by formlessfinder. 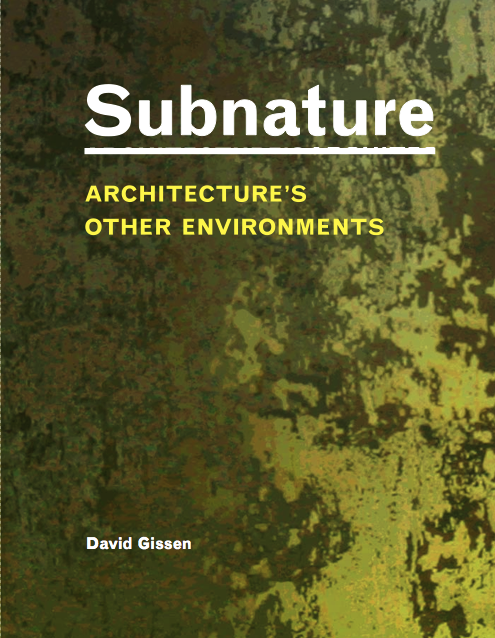 Here we see the type of rubble and debris heaps explored in the book Subnature transformed into a meta-language for architecture (and the firm’s name obviously invokes the “formless” theory of Krauss and Bois, embedded in the Subnatural idea). I hesitate to say we witness debris piles becoming a formal structural language in this project, as the firm’s representations suggests the witnessing of the material in its various states – heaps, assemblages, scatterings. 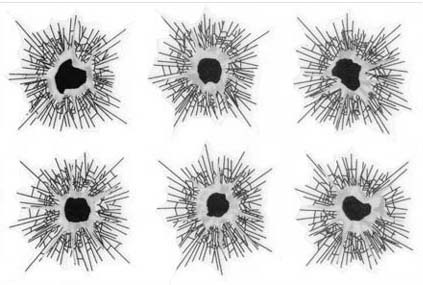 In other words no one formation of the debris is valorized over the others. We have a sense of debris for what it is – formless, historically evocative, brooding — but laced with myriad possibilities. Again, this is a construction outside a tectonic or techno-scientific sense of construction. 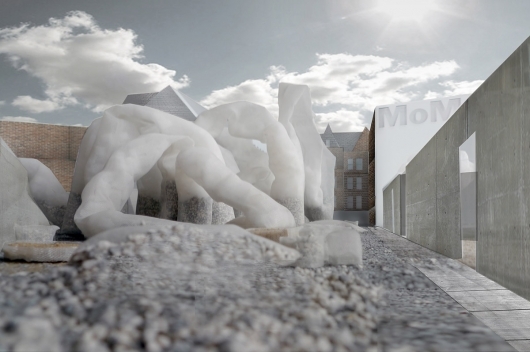 I’m a bit confused by PS1/MoMA’s selection of the winning project by Interboro (is it because one or two of the images of the above project evoke the work of Herzog deMeuron?). I know the management at PS1/MoMA must factor in many aspects in addition to the allure of a firm’s proposal representations. I imagine this project must have looked like a risky bet in comparison to the winner’s; nevertheless, I wish I was on the jury to agitate for this project! January 13-16 (Center for Land Use Interpretation, Los Angeles): I will be participating in Geoff Manaugh’s/BldgBlog’s “Landscape Futures Super-Workshop”. Geoff Manaugh, who has a dean-like ability to manage complex events, describes the event here. Stay tuned to BldgBlog for information about the public event I will be participating in and that includes most of the workshop leaders and participants. Pamphlet Architecture 30: Coupling: Strategies for Infrastructural Opportunism is the name of Mason White, Lola Sheppard, Neeraj Bhatia and Maya Przybylski’s exploration of infrastructure “as artificially maintained natural systems.” The book promises to offer a counterpoint to “a New Deal approach of massive engineering or iconic infrastructure, Coupling employs adaptable, responsive, small-scale interventions whose impacts are global in scale.” The authors generously commissioned a mid-word/intermission (if it’s not the forward or afterword, what do you call it?) from me for their pamphlet: It’s a frank assessment of the turn toward environment (versus space) and the embrace of geography (versus design) in recent architecture and all its promise and pitfalls. I truly appreciate them publishing a work that is more rumination than plug! 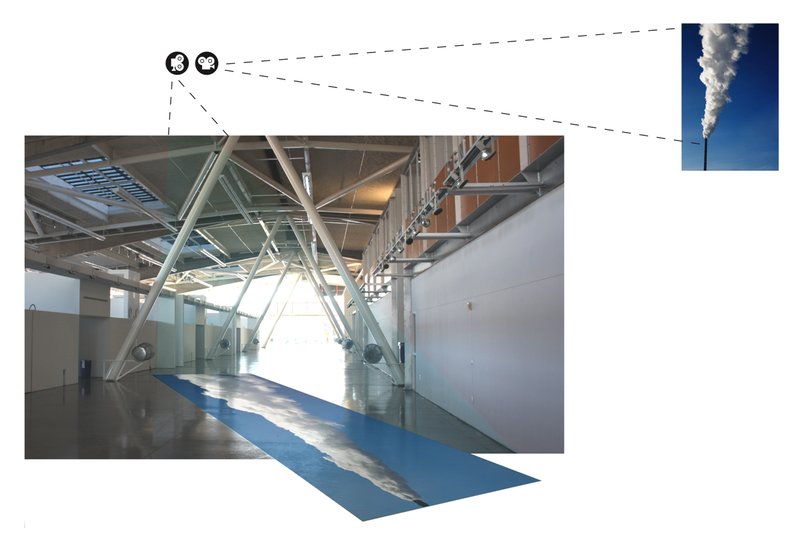 February 10th, University of Waterloo, Cambridge, Ontario: I’m thrilled to finally give my public lecture at the department of architecture, University of Waterloo (had to cancel last year). It will be on the positioning of ground as a historical construction (versus phenomenological expression or ecological instrument) in architecture, with numerous historical and contemporary examples. February 17th, “Thinking Big: Diagrams, Mediascapes and Megastructures”, Yale School of Architecture: I’m one of eight architects, theorists, historians and critics addressing the work of Kevin Roche within larger architectural historical and urban contexts. I’m particularly excited about this as I’ll be rolling out new material from my forthcoming book on New York City, crisis-era building environments — “Maintenance Architecture”. 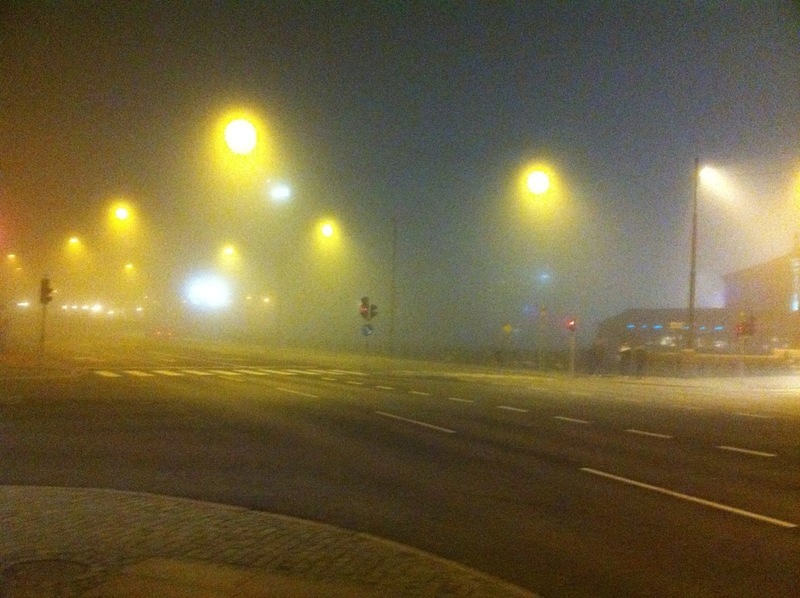 April 13th, Department of Landscape Architecture, SLU-Alnarp, Alnarp, Sweden. I’ll be giving a keynote lecture for Landscape Architecture Day, a regional event in the Cophenhagen/Malmo area of Northern Europe that addresses landscape futures and pedagogy. The talk will be based around Subnature and some other recent work. In addition to the above, I’ll update on various publications and other projects in the works. 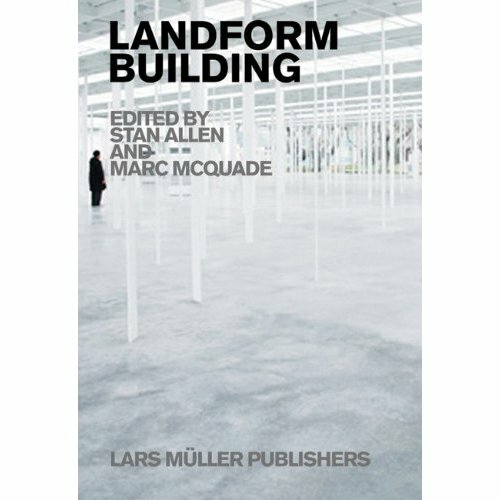 These latter things include writing on reconstructions of nature in architectural history, further reflections on space versus environment in contemporary architecture, and the frameworks of historical appearance in cities and landscapes. As the instigators of these projects and commissions move things along, I’ll be sure to update here. Thanks for visiting and have a happy and healthy 2011. I just returned from beautiful Princeton University where I gave a lecture with Minsuk Cho of Mass Studies at the School of Architecture. The lectures were part of a series curated by Amale Andraos and Dan Wood – principals of Work AC architects and professors at the school. Within their lecture series Andraos and Wood wish to cultivate a more expansive concept of “green”, and the list of speakers is terrific. My talk (which is already posted on the Princeton SOA site) offered a bit of “brown” theory within the general green architectural discussion. I spoke about post-naturalist architecture (what that might be) and spent some time discussing the construction of ground as a historical site within several contemporary works of architecture. The work I presented raises many more questions than it answers, and one hopes that some ambitious student picks it all up and direct the themes more forcefully in and against our contemporary moment. In other news I am extremely pleased that several images from this site are included in an exhibition in Toronto which will open in a few weeks. The exhibition “AIR” is curated by John Knechtel and it relates to an eponymous book he just published with MIT Press. 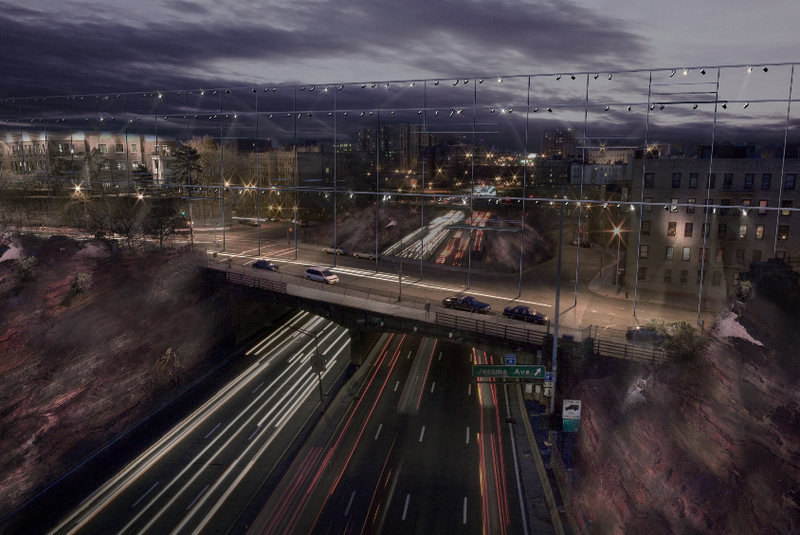 Javier Arbona wrote an excellent essay in AIR that includes one of the exhibited images (a version published here). Participants will include Peter Anderson, Javier Arbona, Ila Berman, Nicholas de Monchaux, Nataly Gattegno, David Gissen, Jason K. Johnson, Byron Kuth, Elizabeth Ranieri, Mitchell Schwarzer, and Craig Scott. How can nature be remade with ideas, forms, and processes from the history and theory of architecture? 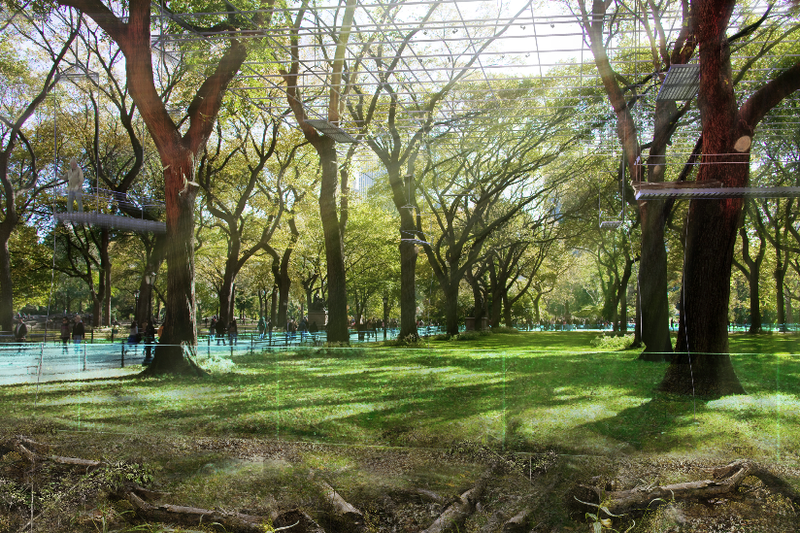 How can nature be remade through urban design? 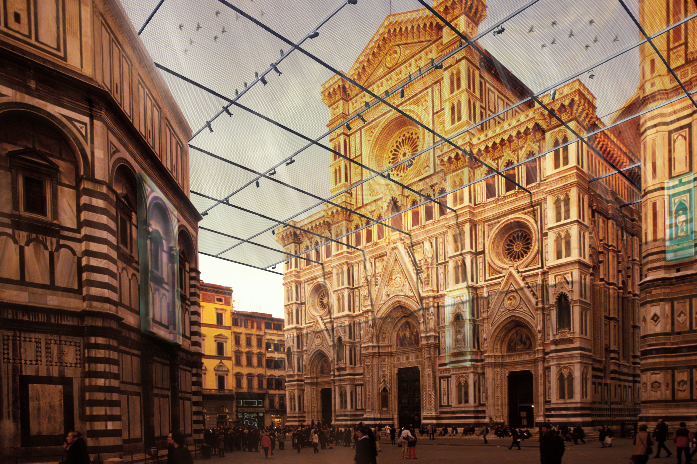 What visions of ecology, technology, and performance have emerged? 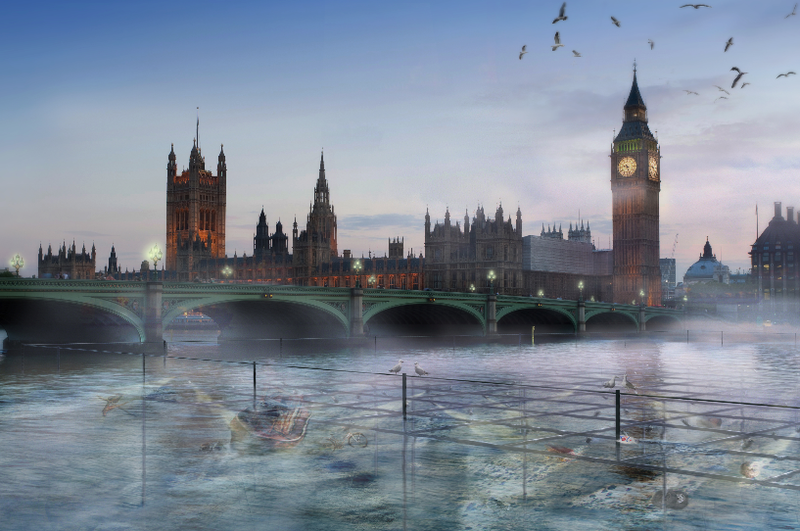 What is the future of architecture in relation to this evolution of nature? Please join us in a discussion of ideas and provocations generated from the recent issue of Architectural Design, “Territory: Architecture Beyond Environment,” edited by David Gissen. And, if you have access to the Journal of Architectural Education, check out a combined review of Subnature, The Infrastructural City, and the first few issues of New Geographies.